LG’s own flagship smartphone, the LG G7 ThinQ is another valuable device I got sent over from the courier a week before now. While The product was great looking in every senses, I had to take couple of my time with it and see if it will sincerely fit right into my own lifestyle as a journalist. Well, It did well. After the announcing of the big next LG earlier this year, I knew that LG might be on the move for something way better and considering how much the LG G6 was underrated by most customers who preferred to queue their hours upon hours over the iPhone X during it’s launch and the Samsung Galaxy S8. While both devices were great, the LG G6 was also fantastic but many people just didn’t pay enough attention tio it. Unless you’re a big fan of the South Korean company, you might never know that they even launched a device last year. 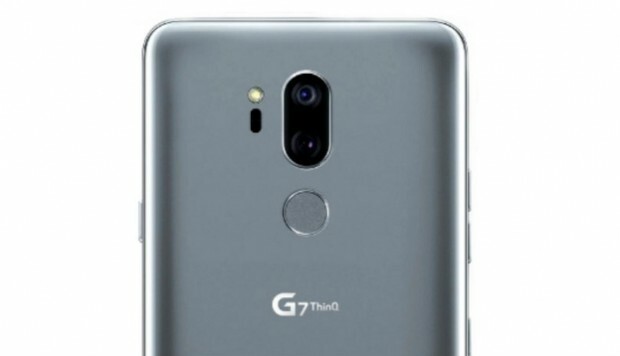 But here we are again with another LG, the G7 ThinQ. Upgraded in most senses and looking way better than it’s predecessor. 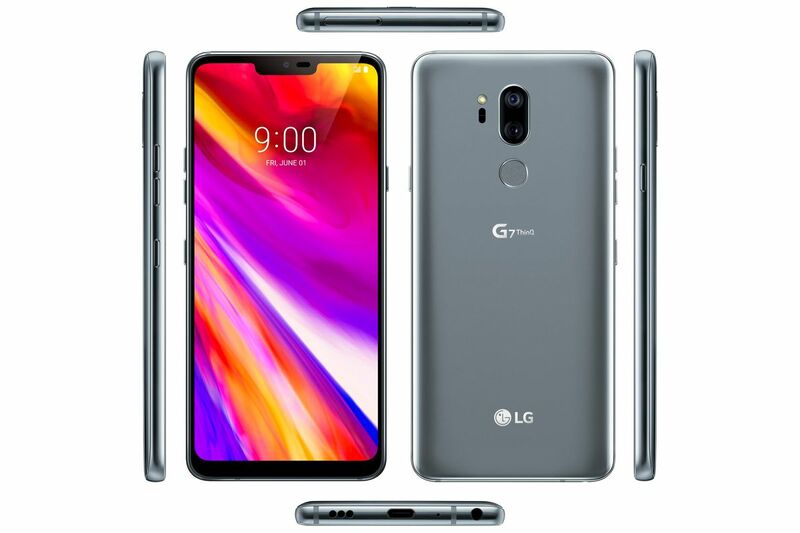 Something told me that the design of the older LG which looked very generic like regular phone might be part of what affected the sales of the device. At least it sold well, just not enough to make big waves like Huawei or Samsung. Another lost in the jungle is the HTC One smartphone. But that’s another story entirely. 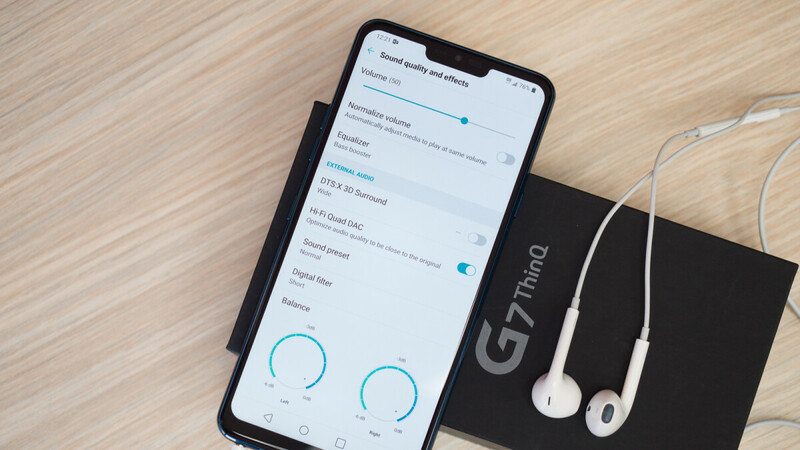 While the G7 ThinQ looked very outstanding at least, the new top-notch design and a bunch of specifications which I’d come across through the internet, I knew I should make my own request to have an in depth look into the smartphone by myself. Powerful battery is something we’d known LG for way longer before now but the fact still remains that the device’s camera might not be very outstanding and I wasn’t awed by this. For as high as $750 (though some carriers and retailers have their versions around $650). Even though it doesn’t cost $1K LG should’ve done better than this. They probably reserved the rest of the power into their LG V30. Well this isn’t to bad mouth the hard works of LG electronics but I’m a bit disappointed at the finished product. But that’s me. And of course there are a lot of awesome features to admire about the LG G7 ThinQ. Considering being Water and Dust resistance, having a Headphone jack, great and sharp display quality and dual camera just to name a few. The LG G6 was almost similar and the fact that LG was just recovering from it’s G5 Modular smartphone might be a smart move. The close resemblance in terms of functionalities and features between the G6 and G7 is relatively close. Even it’s Korean rival, Samsung is guilty of this with it’s new Galaxy Note 9. And as far as the pricing is concerned, the device even though is still expected to fall southward of $700, it will most likely be more expensive than the OnePlus 6. The device followed the top-notch design wave alongside others like Huawei, Oppo, OnePlus after the order of the iPhone X last year. The Notch is a bit of a screen cut-out in order to house the device’s camera, earpiece and other senors that resides at the top area of the device. Despite the presence of the notch right above the upper area of the device, it was cool and I didn’t find it looking odd anyway since this is becoming the new culture of mobile phone design which won’t probably go away soon. But at least Samsung won’t follow the crowd…not yet. But if you’re not a lover of the notch-craze, there are few ways you can customize the look of the device from the settings. Either make it go away entirely or add black background around the bars or even rainbow-like effect, and you can also remove the rounded corners on the screen if you’d prefer it straight edged. The design of the LG7 ThinQ is great although it’s also lost in the wilderness of Notch-craze devices. The uniqueness isn’t very obvious and that isn’t what I’d like whenever I’m holding my smartphone. I wouldn’t like people mistaken my phone brand for another brand. That’s where I’d applaud Samsung for sticking to their curves. Anyway, coming to the side of the device, you’ll notice the power button on the right side of the phone. This is the first LG smartphone in the G lineup that has a standalone power button. They embedded that in the fingerprint sensor on the back in their previous device. I personally liked the old-style rear power button, but the new separate one is definitely better, largely because it means you can double press it to quickly open the camera. You can also still double click to turn the screen on or off, which is always handy. And coming to the left side of the device, you’ll find the volume rocker and then a new button, the AI key. Just like we’ve got a dedicated AI key for Bixby on Samsung’s devices. But this key isn’t for ThinQ, it’s the device’s Google Assistant. Considering how advanced Google Assistant is, it is really a good add up for the G7 ThinQ. So instead of having to yell “Hey Google” whenever the device’s screen is turned off, you just press the button and then the voice recognition is activated as if you’re using a walkie talkie (if you press and hold). Cool hun? Now, double-tapping the button opens up Google Lens for object identification with the device’s camera. The AI system works very well with the device and it’s very fast. Far better than Bixby if i might comment. Currently. if you press the button and your phone is locked, you’ll need to unlock it first to use Assistant. It’s a solid security feature, but it does limit the speed and usefulness of having an AI Key. If you don’t want to use it, you can disable it, though we think LG should add a way to remap the button to do something else. LG said if customers ask for this, it may consider adding a remapping option. And heading to the device’s bottom, you can find it’s USB Type-C charging port, a headphone jack and then the single mono speaker. The rear cameras are aligned vertically. The dual camera is centered right agt the top with the fingerprint sensor right below them. The back cover is covered by the Corney Gorilla Glass 5 just as the front. The essence of the Back Gorilla glass covering is to enhance wireless charging with the Qi standard. Holding it felt really great despite it’s large 6.1 inch display screen. The 162 gram means it won’t pull off my trouser whenever I put it right in my pocket. I’m sorry to admit but the G7 doesn’t do enough to differentiate its design from the competition…seriously. The colors available from most retailers are incredibly dull, the notch design makes it look like many other phones, and while we like the new power button, the loss of the rear one strips away that LG identity. That being said, we still think the phone looks sleek and modern — if a little boring — and it doesn’t feel unwieldy in the hand. If you’re going to buy it and you’re on T-Mobile, get the Raspberry Rose color, as it looks fantastic. LG bragged about how powerful and premium the G7’s speaker is which has a Quad DAC and then the headphone jack. This is the same Quad DAC and headphone jack that is present on the V30 that supports DTS.X 3D sound – A surround sound technology similar to Dolby Atmos. But one great thing I’d say I like about the G7 THinQ is the “Boombox” speaker. Boombox-like sound quality from a single bottom-located mono speaker might sound like an exaggeration, but they did the trick of removing the module that traditionally covered the the speaker and then tweaked the layout of the phone’s internals to make the whole phone a resonance chamber. That means the audio feels like it’s coming from the whole body of the phone, and it sounds fantastic….Good move!!! I listened to my Favorite song “Queen of the Hearts” by Juice Newton on the Boombox speaker and it felt very nice. In comparison to competitors like iPhone X which has Stereo speakers and others like Galaxy S9, Huawei P20 Pro, the G7 is louder and better. LG excelled in that. And since the whole phone becomes a resonance chamber, music can sound even better depending on the surface you place the phone on — hollow wood, for example, further enhanced the audio. The stereo speakers from phones like the S9 Plus held their own, and oftentimes had benefits, like when holding the phone, or watching a video. But if you’re predominantly playing music from your phone’s speakers, the G7 comes out on top. While the audio system is fantastic, I’d always prefer connecting with my headphone jack to listen to my songs all alone. (I’m not selfish) And the fact that LG unlike Samsung isn’t ditching the headphone jack, Yet, then it’s a good idea i take advantage of it. But my fear is the device’s IP68 waterproof seal which if broken in any way, the audio system might be the first to be ruined. LG recommends the use of harder cases than soft ones, as the latter could also absorb some of the resonating sound. I told you earlier that the screen is top-notched. Even though you might decide to opt out of the notch and make the screen look like traditional LG smartphone. But part of the advantage of the top-notch is to give big room for doing things like playing games or watching videos. Generally, the top notch can be beautiful in some cases. After having tested couple of devices with the notch design, I found the fact that nearly all Android device makers are now following the craze a bit too odd. But well, LG gives you the power to opt out just like Huawei P20. One problem is that the notch opt-out is not complete because it seems LG still left couple of application to display the notch. For example, If you’re using applications like the Text message, Google Chrome browser or Map, the notch can be visible again and that’s very inconsistent. But you might never mind that or you might hate the fact. But the display generally is great. The G7 has a super-bright LCD display (1000 nits) and easy to see through even while in broad daylight. Unlike Samsung’s Galaxy S9 and the IPhone X, the LG G7 ThinQ displays a brighter white color in the daylight better. With a high resolution display of 3120 x 1440 pixels, you’d expect nothing but a high quality resolution from the device. While the LG excelled well in White colors, Green, Red and Blue looks more vibrant on Samsung. Also note that the G7’s blacks could not compete with the OLED screens of the other two, and its screen looked more darkish gray than the Galaxy and the iPhone when displaying a black swatch. Lastly, even though color shifting isn’t a huge deal on phones, color tones changed more on the G7 as you viewed it from different angles. Thin bezels, tall and slim frames and a glossy design makes the LG G7 beautiful…at least to some extent. I”m not being mean here due to the fact that I still get disappointed with some of the outward look and feel of the device. The Glass both at the front and back of the device might not really be great if you don’t want to use a cover (LG Said you should!). But sincerely, I’d give a thumb up to the general look and feel of the device as blended up with the display of the device. 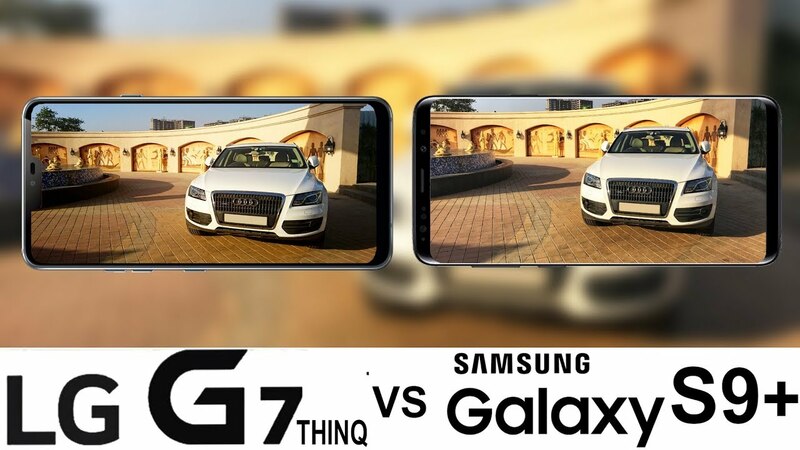 The G7 ThniQ is powered by Qualcomm’s Snapdragon 845 Processor and has two variations; the one with 4GB of RAM which has 64GB of internal storage and then other with a 6GB RAM which also has an internal storage of 128GB. During my tour with the G7 ThinQ, it was great and never had any lag, at least not really. The Snapdragon 845 processor is a powerful resource of the device and handles nearly anything well. I played Modern combat on the phone and it went really well. Aside doing a host of multitasking like continuously switching from one application to the other without really giving the device any time to rest, it went really well doing all those tasks. Surfing the internet was a great experience and notifications arrive without having to pause whatever i’m doing at that moment. While the device got a bit warm after a lot of work (You know i like that), I’d say the glass might be the reason for this or not. Considering if the LG G7 was using a Plate back cover, that would’ve been very hot ans won’t make any sense….I’m just guessing. But generally, Android 8 did well on the LG G7 ThinQ. It worked well and fluid and third party apps are very limited in this edition which reduces bloating and malignancy on the long run. Though I like the Windows 8 UI so I quickly opted for it when I had the chance to do so (Downloaded the launcher from Google playstore) and it was very beautiful because the native LG’s own UI is quite boring to me, but you might like it. The camera of the LG G7 ThinQ is not very fantastic because I’ve seen those of their competitors like the Samsung Galaxy S8 or IPhone X. They’re somewhat better whether you’re in a light room or darkened environment. The phone has a standard 16 MegaPixel with a f/1.6 aperture and optical image stabilization while the other camera is a 16-MegaPixel f/1.9 wide-angle camera. Although the result was good, the camera’s result wasn’t entirely as expected in the low-light. LG even added a Super Bright Camera mode that does help in night-time shooting conditions, but low-light on the G7 is just not up to par with the competition. While that might be to boost things up, I still felt it should’ve been better than that in the first place. Another thing I do not like about the G7’s camera is the tiny amount of shutter lag in the camera app, which feels sluggish overall. You can take as high as 107 degree photo using the wide-angle mode of the camera. And since LG is the one of the only maker that offers a super wide-angle camera on a smartphone, it makes the G7 to be unique. So this means that you wouldn’t need a lens mount to take some unique shots with the G7 like you’d normally do with other devices. But then the issue arises when you zoom into photos, and you’ll notice that the details and color just aren’t as accurate as you’d expect. Still, it’s easy to take some spectacular photos with it, especially with the right subject. And before I forget, there is an AI camera. This is a separate mode in the camera which usually use some artificial system and machine learning to identify scenes which are being shown in the camera. Let’s say you pointed the device towards the sun, it will detect that and then change the adjustment to suit that scene. With the G7, AI Cam can now identify 10 more scenes including baby faces, animals, drinks, fruits, and more — bringing the total amount of categories to 19. Once it identifies a scene, it alters the photo to change things like saturation, exposure, and more. It can even recommend a wider-angle view, or suggest using the Super Bright Camera mode when it’s too dark. While the G7 ThinQ AI Camera might be better than those gotten from Huawei’s AI image recognition software, the LG G7’s AI camera does well by making saturation good and bearable. But generally, AI cams still have a long way to go because their results aren’t very great. It’s worth noting that the device’s battery is good. Although small in capacity (only 3000mAh battery) which appears to be too mini for a flagship device of it’s size-range, the longevity is what is fascinating. LG is sort of a master at making good batteries and that credibility is shown in the G7 ThinQ. My rigorous test with the device saw a huge 25% of battery still remaining despite all i put it through. Unplugging it around 8 am in the morning and playing games, watching videos and surfing the internet and navigating maps and all that while putting the screen’s resolution to the highest, It performed way better than the Samsung Galaxy S8. Using it as a corporate person who only checks emails, surf couple of web pages and read latest news from Brumpost mobile, I still had as huge as 49% of battery. And that is outstanding. It charges up relatively quick, thanks to Quick Charge 3.0. We put it on the charger when it was at 22 percent at 2:23 a.m., and the phone hit 100 percent at 3:45 a.m. You can also juice up with a wireless charger, but it won’t charge as fast. The LG G7 ThinQ costs as high as $750 which is a lot more than the previous LG G6. 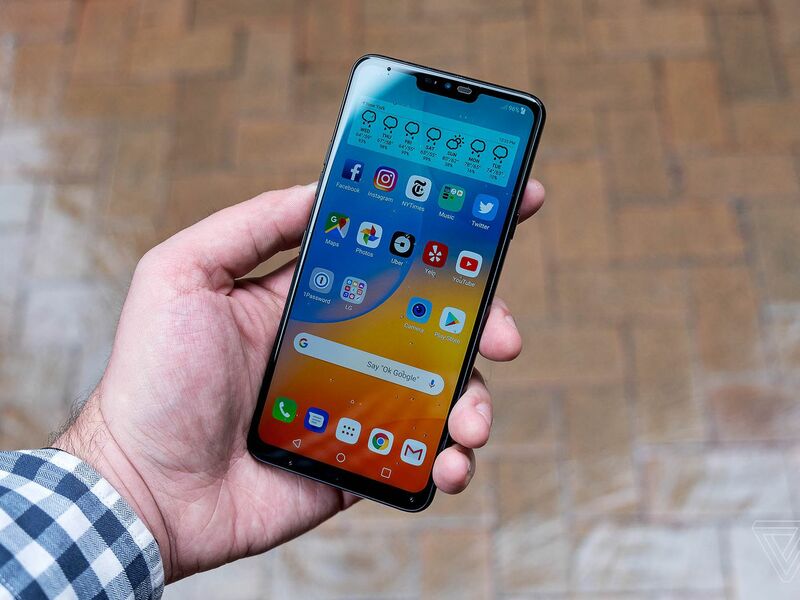 LG often drops the price not long after its phone releases — the LG G6 dropped to $450 within a few months — and now the G7 ThinQ has dropped to $650 from carriers like Verizon and retailers like Amazon. You can buy it from T-Mobile, Sprint, Verizon, U.S. Cellular, Amazon, B&H, Best Buy, and it’s available unlocked as well. If you’re on AT&T, you’ll have to buy the unlocked model. Otherwise, take a look at the AT&T-exclusive LG V35 ThinQ. The LG G7 ThinQ is a very nice smartphone with it’s pain and gains. Although most of the detriments can be easily ignored as they do not matter and considering the fact that the device already encompass those big features that makes it very useful and a great companion, I would undoubtedly recommend something like this. The pricing is still affordable and who knows, the pricing might still come down to as low as $500 in the near future but there isn’t any news about trade-in like the Samsung Galaxy Note 9. So you’d probably have to ditch your older LGs and then get this one. It’s feature-rich and sleek design makes it very useful and it’s really a device you can buy. Big enough but not too large to overtake your single palm. It’s lightweight and the camera is very good enough. And if you’re a heavy user or light user, the device will still work very fine for you. So it’s a big thumb up!